The Squonk is a legendary animal believed to live within the Hemlock forests in the north-western part of the state. They are described timid and ugly in appearance as the creature’s skin is sagging while covered with moles and warts. Legends claim the Squonk is constantly weeping because its ashamed of its body and will often try to avoid being seen. This creature is said to have a unique ability to escape capture from hunters by dissolving completely into a pool of tears and bubbles when cornered. The legend of the Squonk has been spoken in Pennsylvania since the early 19th century with the first written account made in book by William T. Cox called Fearsome Creatures of the Lumberwoods, With a Few Desert and Mountain Beasts (1910). Lumberjacks and hunters were mainly the source of early sightings of the creature. 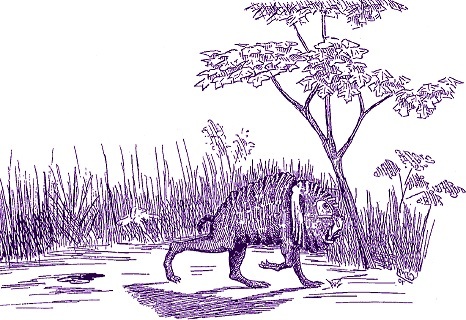 Several cryptozoologist theorize the Squonk maybe resulted from encounters with malformed wild boars within the time period as there are no new accounts of the creature reported. I love the legend of the Squonk. From the time I first stumbled over the tale, it’s become one of my favorite. Even the name of the creature is unique. It reminds me of something from Dr. Seuss. The Squonk is just so woebegone you can’t help but feel for them.